A car crash just off Route 202 in Solebury Township left two area residents seriously injured Tuesday morning. 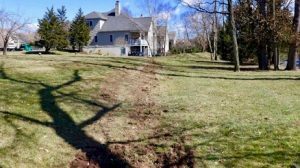 Solebury Township Police responded to the report of an accident near Silver Tail Lane in Fox Run Preserve at 11:50 a.m. Officers found the vehicle, a 2012 Mercedes sedan, in the rear yard of a house on the 200 block of Bobwhite Road. The driver, a 57-year-old male operator from New Hope, and his 79-year-old female passenger from Stockton, N.J., sustained serious injuries, police said. They were transported by Central Bucks EMS and Lambertville-New Hope Ambulance to St. Mary Medical Center in Langhorne for treatment. Police said their preliminary investigation shows that the Mercedes was traveling northbound on Route 202, crossed into the southbound lanes, and exited the roadway. 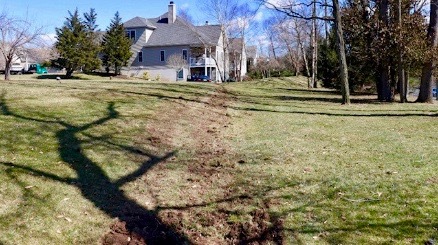 The car continued onto a dirt embankment, became airborne, passed through the common area of Fox Run Preserve, and finally came to rest along the stone patio wall of a residence. Police ask anyone who witnessed the crash to call them at (215) 348-7400. Solebury Township Police were assisted on location by New Hope Eagle Fire Company.